These are phone cards from Singapore. 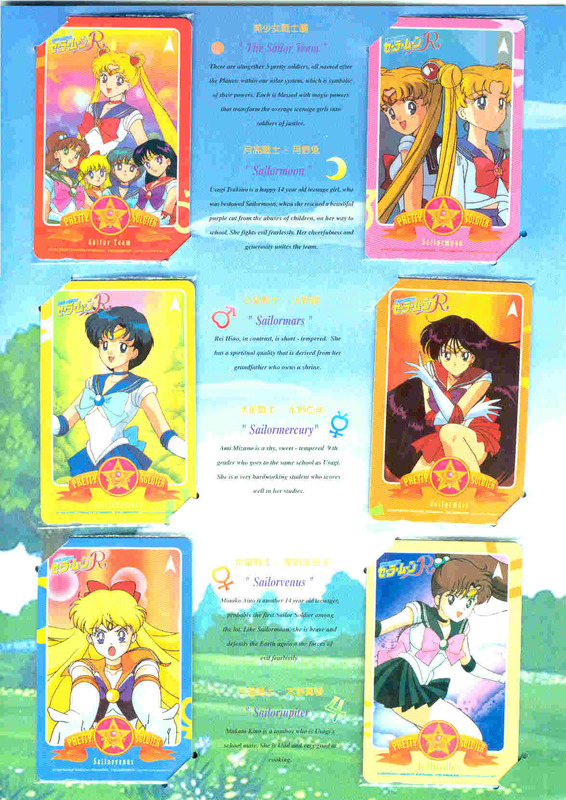 They're affixed to the brochure that was sold with the set of cards. I think this is the most impressive card set (in terms of packaging)I've ever seen. It's made by the Hong Kong Telephone Company; and when I received it, I thought the seller had just put a lot of extra cardboard in it to keep it from bending. Actually, the presentation folder the cards come in is thicker than a shitajiki. The cover is the scan above. To rave on: the packaging of the cards is impressive. I can't blither on enough about it. 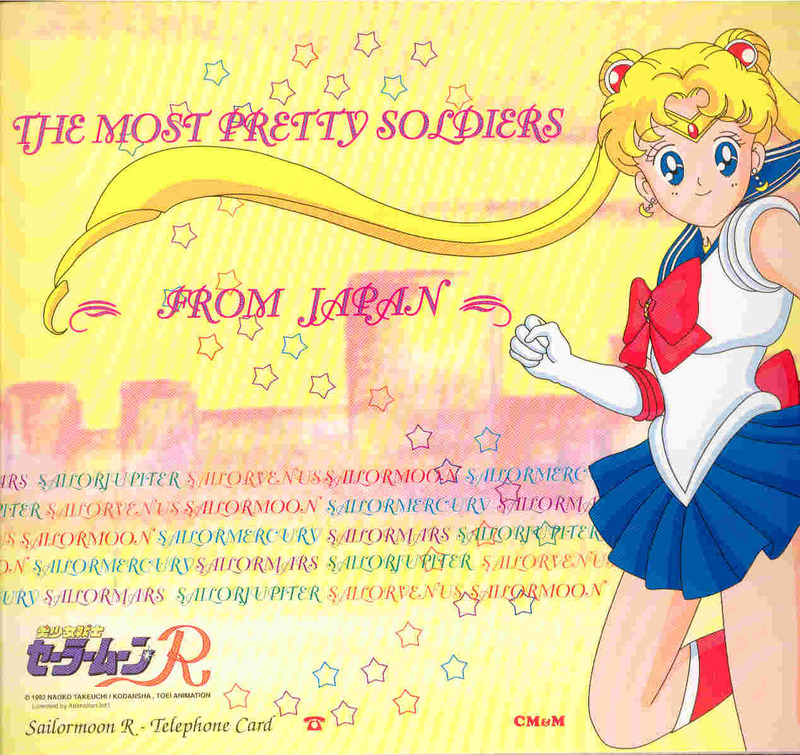 For instance, when you open the folder, there is a sheet of wax overlay with tracery of the big Sailor Moon image as well as a couple of drawings of Luna. And in the inimitable style of the Chinese, there is the phrase, "I am Usagi Tsukino a second year student of junior high and a bit of a cry-baby. One day I was changed into a pretty soldier in sailor suit by meeting with Luna, a strange black cat." LOVE IT! 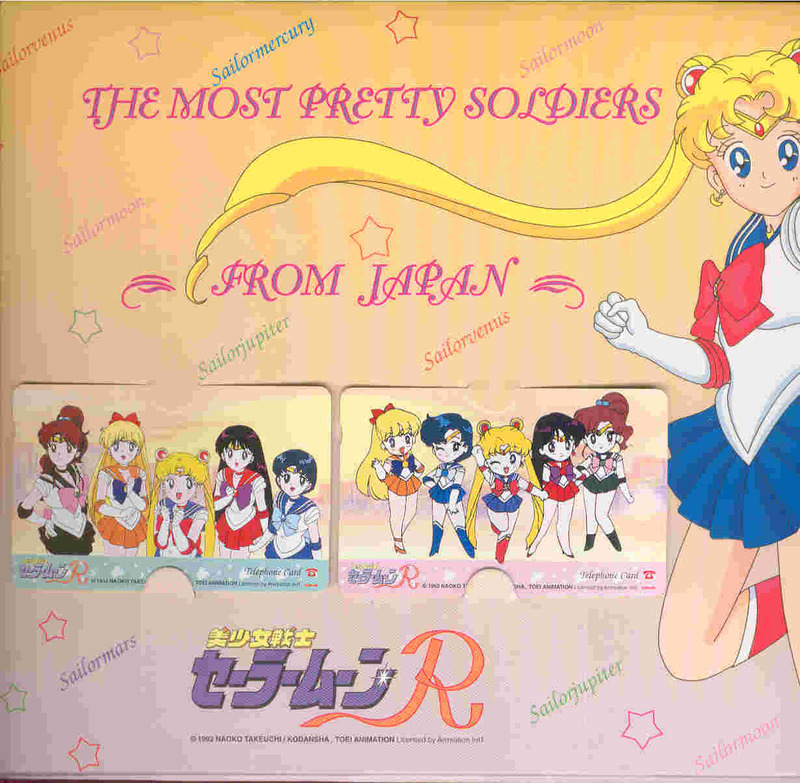 Now, the phone cards are no great shakes themselves (I detest the "chibi" characters), but the set is a limited first edition and I've seen it go for 30000 yen on Yahoo!Japan. It pays to know where to shop...heheh.